Recreational sports shooting is a lot of fun, and it’s an activity that you can do indoors and outdoors. 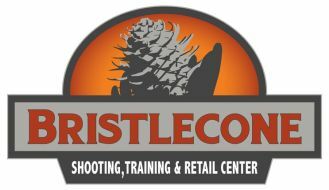 At Bristlecone Shooting, Training, and Retail Center, we’re obviously partial to indoor shooting and training, but we can help to prepare you for whatever you choose to do. As you consider your options, here are five reasons to give indoor shooting a try. Indoor shooting offers you a chance to do it in a pleasant, controlled environment. At Bristlecone, for example, we have a state-of-the-art facility that includes an automated target retrieval system, tactical skills enhancing equipment, and a customized air filtration and ventilation system. Every design detail was thought through to create a safe, comfortable, and fun shooting experience. You can practice shooting using one of our 14 indoor lanes on your own, take a specialized class, or try our Virtual Training Simulator. Indoor shooting lets you to hone your target skills. Whether you are someone who likes to practice target shooting on your own, in a shooting training class, or in shooting competitions, we have you covered. Every month we offer Bowling Pins, USPSA, and GSSF League matches, too. Indoor shooting creates camaraderie. Bristlecone has classes and specialty leagues — for women shooters, for families who want to learn shooting and gun safety, for those who want to learn about and get concealed carry permits or hunting permits. Whether you are a beginner shooter or expert level, you’ll find people to practice shooting with here and to enjoy the sport together. Indoor shooting has what you need in one place. From gun rentals and sales, to shooting clothing, to instruction and classes, or to our in-house gunsmiths and monthly membership packages — chances are good that Bristlecone can accommodate you, so don’t hesitate to ask us. We’re happy to help you.